New acoustic technologies from Röchling Automotive reduce ambient noise to enhance driving comfort . From smooth to sporty: in hall 6.1, booth B02 at the IAA from 15 September 2015, Röchling Automotive is not only presenting innovations related to acoustic optimization. It is also showing numerous developments from its acoustics portfolio which are now ready to go into large-series production. 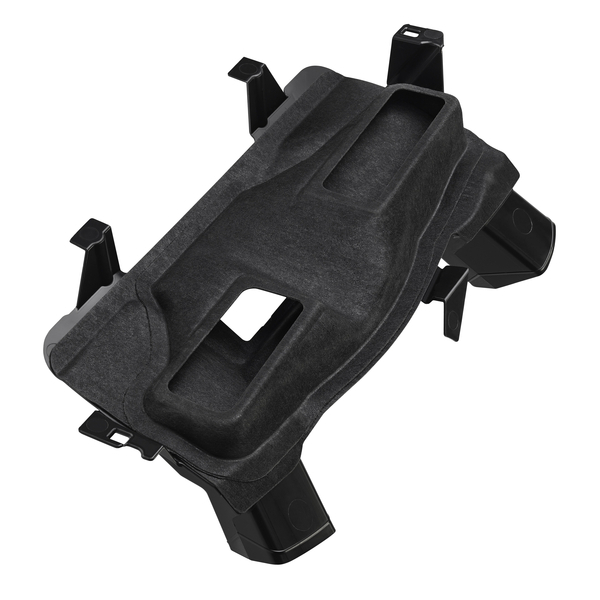 The most important innovations in the field of NVH optimization are a new air distribution manifold and a car body floor pan made of LWRT. In terms of system development, the company is showing its SCR (Selective Catalytic Reduction) tank with integrated anti-sloshing measures. Loud ambient noise considerably reduces the comfort of the vehicle occupants. 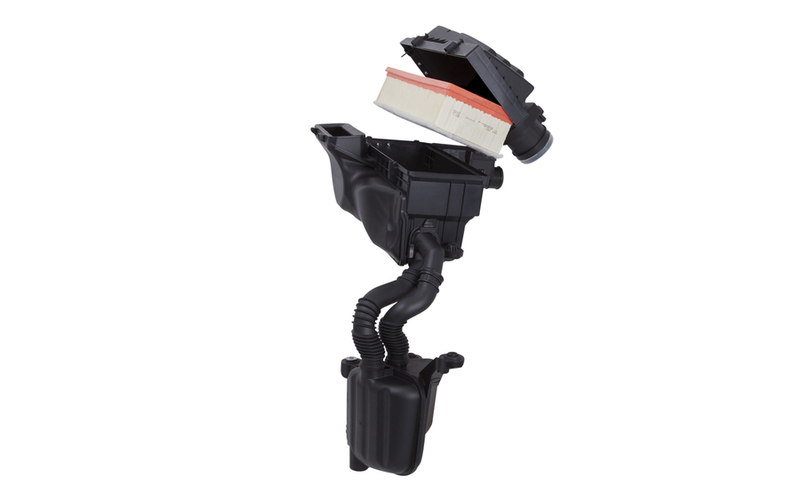 As air intake systems for the air in the car interior offer great potential for acoustic optimization, Röchling has developed a new central air distribution manifold for the air conditioning in a middle-class limousine of a large German automobile manufacturer. The lightweight solution has a sandwich structure and allows the air noise at maximum air flow to be improved by 6dB(A) and by up to 10dB(A) in certain frequency ranges. For the upper part of the air conditioning duct, the engineers used the noise-reducing material Seeberlite made of LWRT (Low Weight Reinforced Thermoplastics). The latter is also suitable for use with complex component geometries, and the porosity of 80% in the open core layer allows excellent acoustic characteristics thanks to improved sound absorption. In addition, this provides favorable conditions for a significant reduction in weight. Other advantages include the low pressure losses in the air duct system. Air intake ducts for the engine air also benefit from the Röchling approach. When LWRT is used, an improvement of several decibels is also possible with regard to outlet noise, as unpleasant hiss is filtered out by the absorptive material. This means that there is now an interesting lightweight alternative for the high-frequency resonators in the air intake systems which combats the annoying turbo noise. All in all, Röchling precisely matches the engine sound to the requirements of the vehicle manufacturers. From a smooth and balanced sound to a powerful and sporty one, sound design is used to achieve optimum sound quality. In the new field of complete car body elements made of composites, Röchling sustainably generates - and makes full use of - comprehensive optimization potentials. With a multi-layer car body floor made from StraturaTM, the expert for lightweight construction and acoustics is presenting its newest solutions in this field at the IAA. In production, Röchling uses its innovative SoftloftingTM technology and combines two functions. As a result of using the LWRT sandwich structures, the combination of acoustically and thermally insulating layers, as well as integrated stabilizing aluminum elements, provides an optimized NVH behavior. For the first time ever, the supplier is presenting the integration of aluminum profile elements. With a field of action which rapidly takes effect upwards of a frequency of 500 Hz, the LWRT material reduces ambient noise significantly. Also, the multilayer car body floor offers protection against stone chipping and corrosion while also providing very good crash characteristics and is low weight. This solution is innovative in terms of design and material, and its excellent acoustic properties increase not only passenger comfort, but also mean less noise on the road. As a result of the increasingly stringent global exhaust standards and the associated increase in the demand for SCR tank systems, Röchling is presenting an acoustically optimized SCR tank for the first time ever. In selective catalytic reduction, a urea solution is used to transform nitrous oxides in the exhaust gas into nitrogen and water without forming undesired by-products. In the tanks required for this solution, energy-intensive noise often occurs at high accelerations. 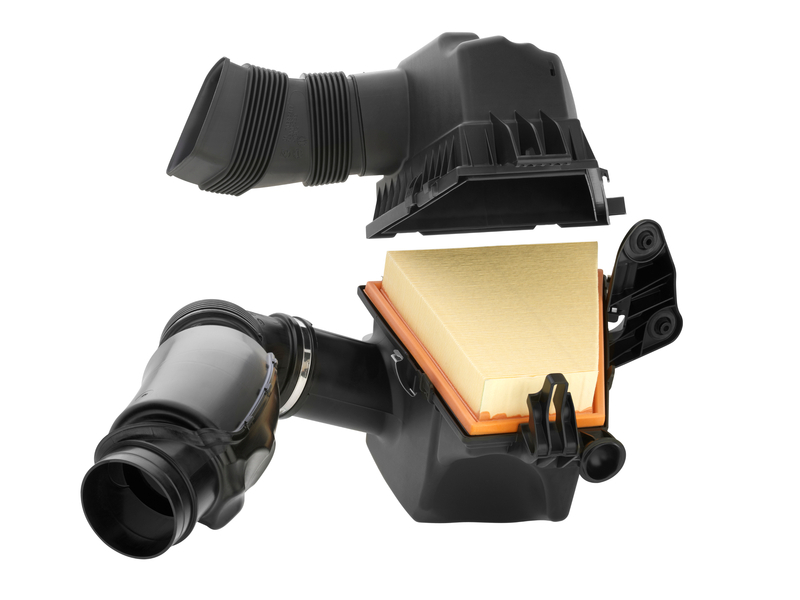 As one of several improvements in the field of SCR tank systems shown at the fair, targeted anti-splash measures provide for more driving comfort. Röchling Automotive has just been presented with an award from the “Society of Plastic Engineers” for its expertise with regard to the SCR tank. In the 16th Automotive Award Parts & Components 2015, the Mannheim company was awarded in the “Power Train” category for its filling System.